Backers of an initiative to repeal the recent increase to the gas tax and vehicle registration fee began gathering signatures Monday in San Diego. Former San Diego City Councilman Carl DeMaio and Republican gubernatorial candidate John Cox appeared at a kickoff event outside the studios of KOGO-AM (600). They said the hike will cost $700 annually per family, with no guarantee the revenue will be used for its intended purpose. “Sacramento politicians really crossed the line with these massive car and gas tax hikes and we intend to give taxpayers the chance to reverse that decision with this initiative,” said DeMaio, chairman of Reform California, a political action committee that opposes tax increases and proposes efficiency reforms to fix problems. SB 1, signed into law by Gov. 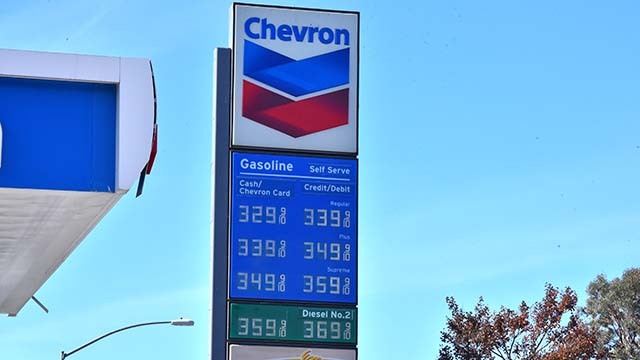 Jerry Brown on April 28, increased the gasoline excise tax by 12 cents a gallon, the diesel fuel excise tax 20 cents per gallon, the sales tax on diesel to 5.75 percent, and raised the vehicle registration fee by $25 to $175, depending on the value of the vehicle on Jan. 1. Brown said the revenue from the tax and registration fee increases will be used to repair roads, highways and bridges and improve public transportation. Fix Our Roads, a coalition of business, labor and transportation organizations, supported the bill. Valid signatures from 585,407 registered voters — 5 percent of the total votes cast for governor in the 2014 general election — must be submitted by May 21 to qualify the measure for the November 2018 ballot, according to Secretary of State Alex Padilla.